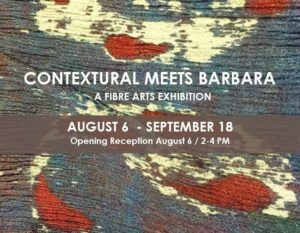 Contextural, a Calgary based fibre arts cooperative joins with the Leighton Arts Centre Textile Archives to present Contextural Meets Barbara. 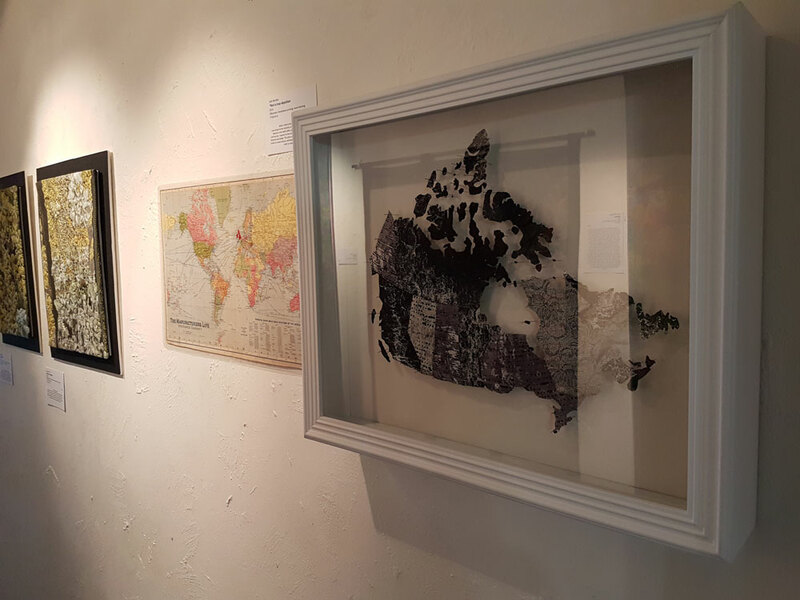 For the contemporary fibre artists of Contextural, the experience of creating fine craft is an important element to understanding it. Our constant experimentation, planning and preparations allow us to rework ideas and techniques – and “the hand of the maker” becomes evident in each step along the way. It’s during this making process that we learn about ourselves, and how to bring out the best in our chosen media. Our time, effort and passion leave a personal mark that is an integral part of our work. 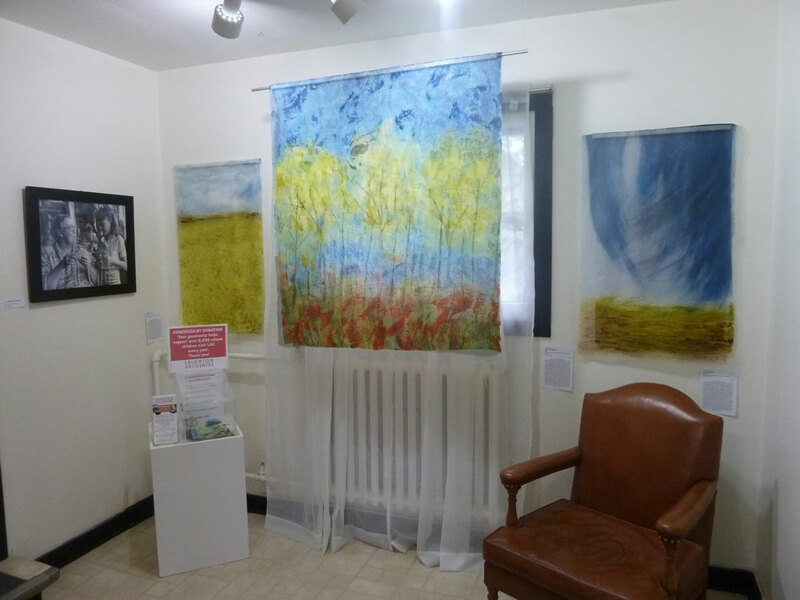 For the Leighton Arts Centre Textile Archives, the legacy of Barbara Leighton’s passion for creative textile making and for growing Alberta artists is a treasure to be preserved and to be shared. The archives are a wonderful celebration, often wild and crazy, quite prolific and most certainly eclectic. The works in the archive embody Barbara’s organic collecting process and they include textiles from workshops, shows, friends and visiting artists; a generation of Alberta fibre-based creatives. Through the summer of 2015, Contextural hosted a three month residency themed the Mark, the Hand, the Thread; to explore how the uniqueness of each artist is expressed through their mark, their hand, their method and medium. Part of the residency was a visit to the Leighton Centre archives to inspire us toward new work while connecting to the works of kindred-spirit artists of the past. The contemporary artworks in this exhibition have a connection and partnership with those archival works. 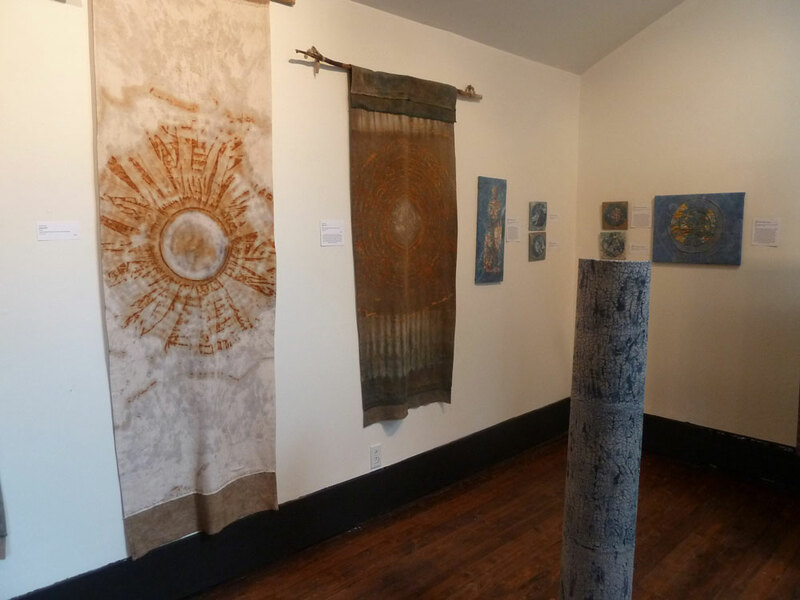 Barbara Leighton’s work and legacy reminds us that we are part of a long tradition of hand-crafting textiles and, like many artists before use, we make these traditions our own.